TAIJI, 9/21/17: After 15 days where no dolphins were slaughtered or taken captive, today, things changed for the worse. At 5:30 a.m., 12 banger boats left the harbor in search of migrating dolphin pods. Three hours later, at 8:25 a.m. hunters spotted their prey. It’s always sickening to watch the boats fan out. 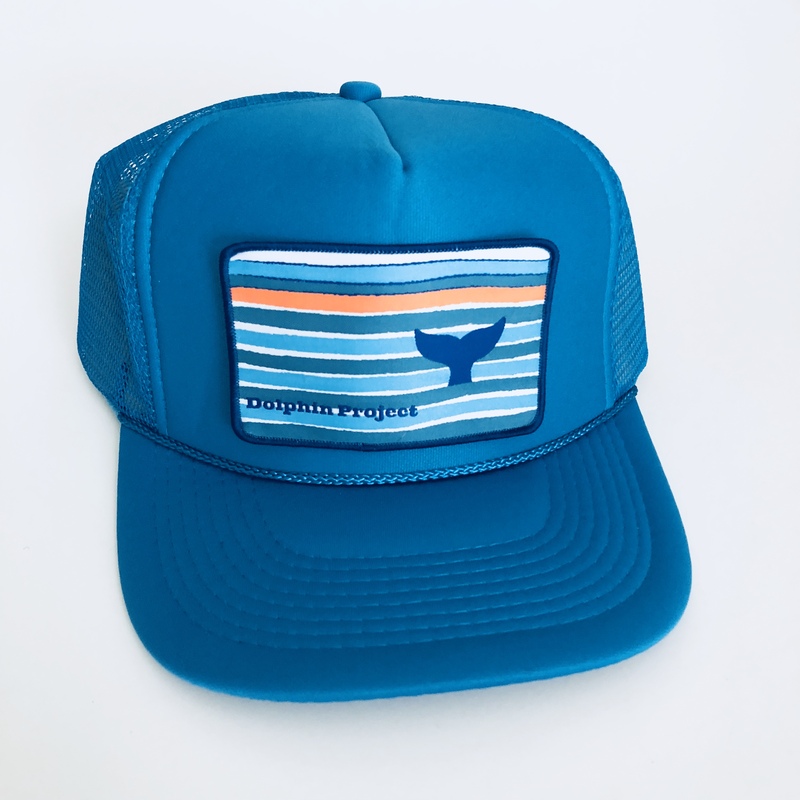 If the dolphin hunters are lucky, that means the dolphins’ luck has run out. Lately, the pattern has been for the banger boats to start returning to harbor around 8:30 a.m. I was counting on this, but a mere five minutes earlier, my hopes were dashed as I saw the dreaded drive formation. It happened quickly, and as the boats were in direct sunlight, they were hard to spot until they were very close. I quickly relocated to Takanabe Hill, setting up for the worst. I had an idea that it might be Risso’s dolphins due to the extreme battle that was going on. Risso’s are a deep diving species, capable of holding their breath for up to 30 minutes. They used this skill to their advantage, getting behind the boats and heading to open water. 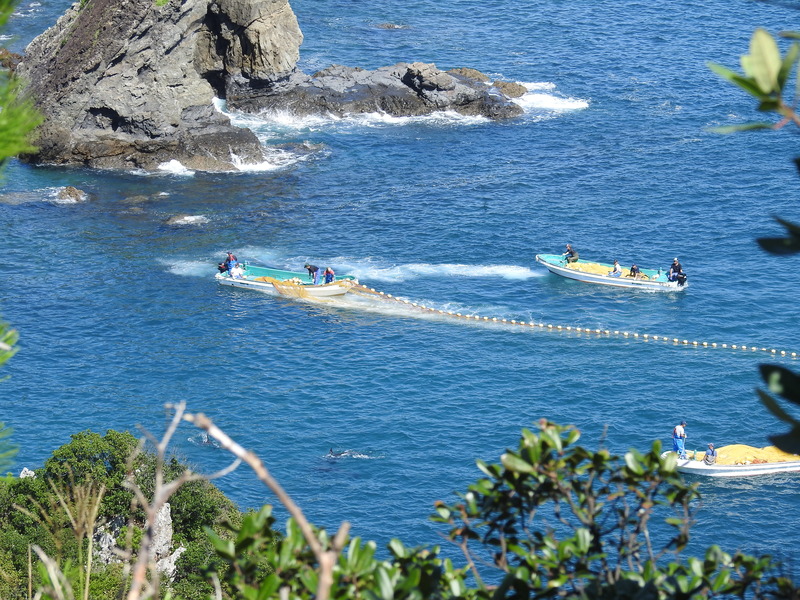 Yet, over and over, the banger boats would spot them and race to corral the pod. I could see the skiffs heading out to assist, with hunters throwing a slap paddle into the water, in order to scare the dolphins into heading in the desired direction. Between the eight banger boats involved in the drive and the three skiffs that joined them, the dolphins had little chance. As the pod approached the cove, exhausted from the drive, I could see it was a small group – at most, seven dolphins. When I saw the familiar sickle-shaped dorsal fins, the grey bodies with some scarring present and the bulbous, round heads, I confirmed they were Risso’s dolphins. 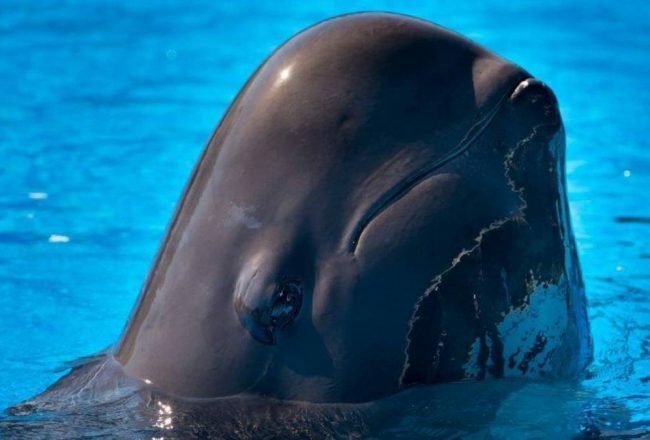 This species of dolphins suffer greatly in Taiji. In my previous visits here, I have seen many Risso’s slaughters. They are rarely taken for captivity and releases of Risso’s dolphins are very rare. They are a species that is mostly hunted for their meat, along with other body parts. The quota for Risso’s dolphins during the 2017/18 season is 251. Two hundred and fifty-one incredible sentient, intelligent and fiercely social animals can be exterminated this season. And sadly, each season the dolphin hunters nearly fill their quotas. Today, they took their first seven. 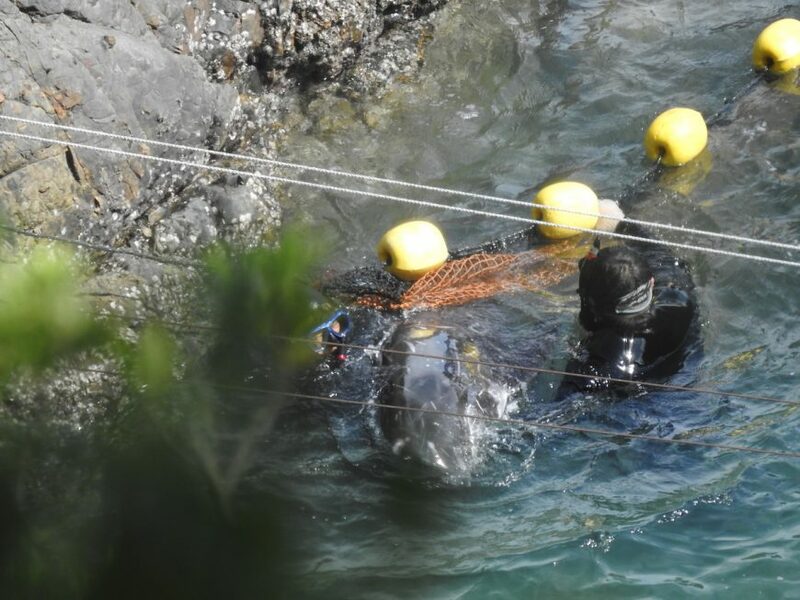 As the dolphins were netted into the cove and the tarps were drawn over the killing beach, I knew their slaughter was imminent. During a short delay, the pod swam tightly together, taking comfort in one another as they awaited their fate. They were a family. The dolphins were darker grey with little scarring, indicative of being either juveniles or young adults. We will never know if this was the entire pod or if there were other pod members who were lost at sea, or managed to escape. These numbers will never be known, will never be counted against the quota but, of course, are equally tragic. 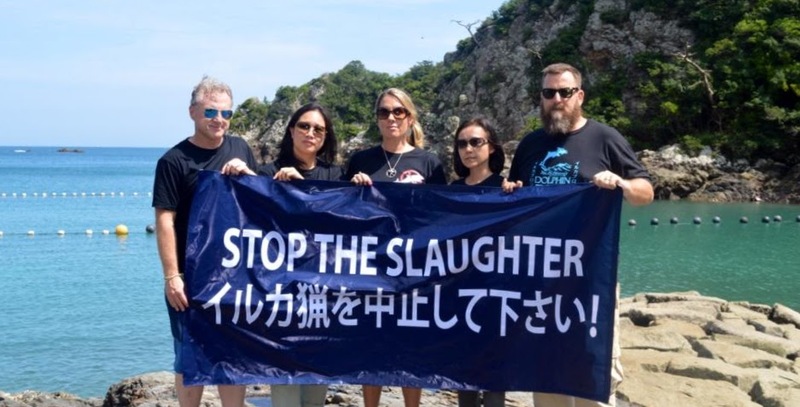 I heard a skiff approaching and saw the reason for the delay – trainers wearing the familiar blue and orange colors of the Taiji Whale Museum had arrived. They went under the tarps, along with the dolphin hunters, to inspect the victims of this drive. Shortly after, I noted a skiff leaving the cove, a sling attached to the left-hand side of the boat. 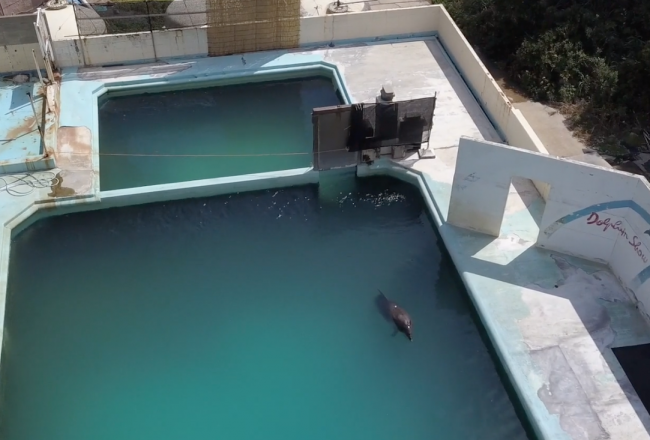 One Risso’s dolphin was chosen for “life” in captivity. For this unfortunate soul, a life of complete dependency on humans was about to begin, their freedom lost forever. 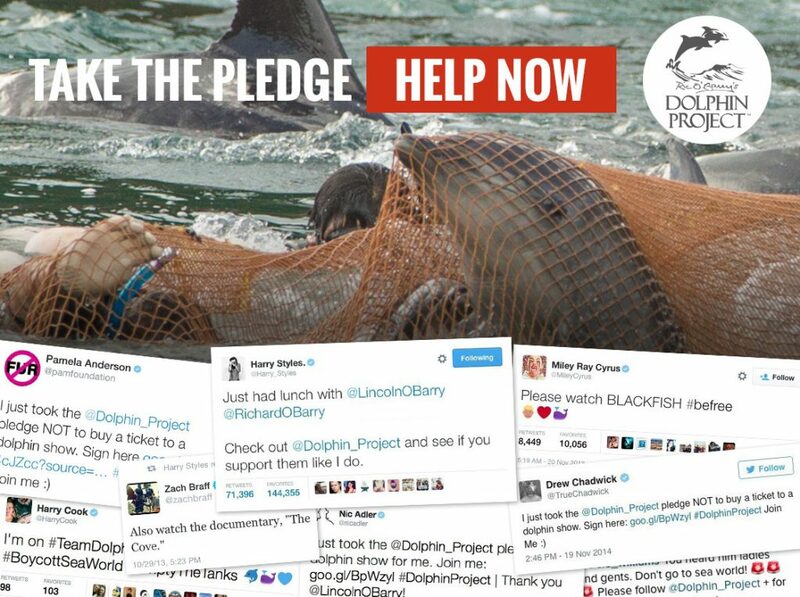 As the trainers left with their new captive, the dolphin hunters began to slaughter the rest of the pod. 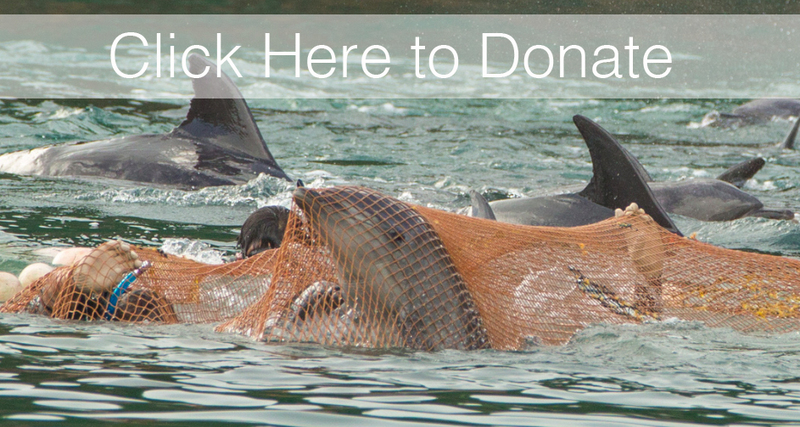 A few dolphins had escaped the killing beach and were seen trapped in nets. 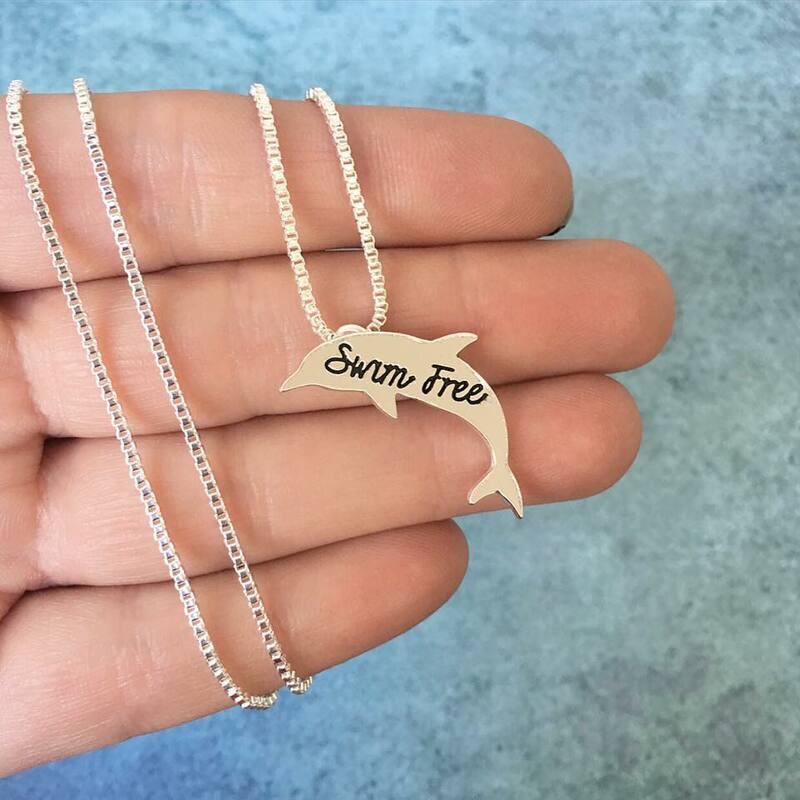 Yet, instead of continuing to swim towards freedom and safety, they turned towards their family. 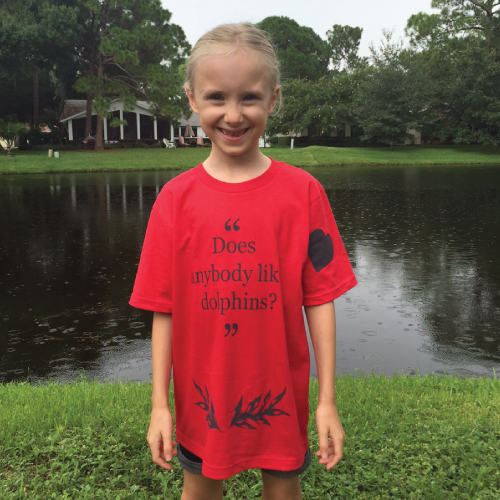 The devotion Risso’s dolphins have to their families is admirable, and heartbreaking. As someone who has seen Risso’s dolphins wild and free in the ocean, I cannot understand how anyone could get so close to these animals and not look into their eyes and see the intelligence and comprehension in them. 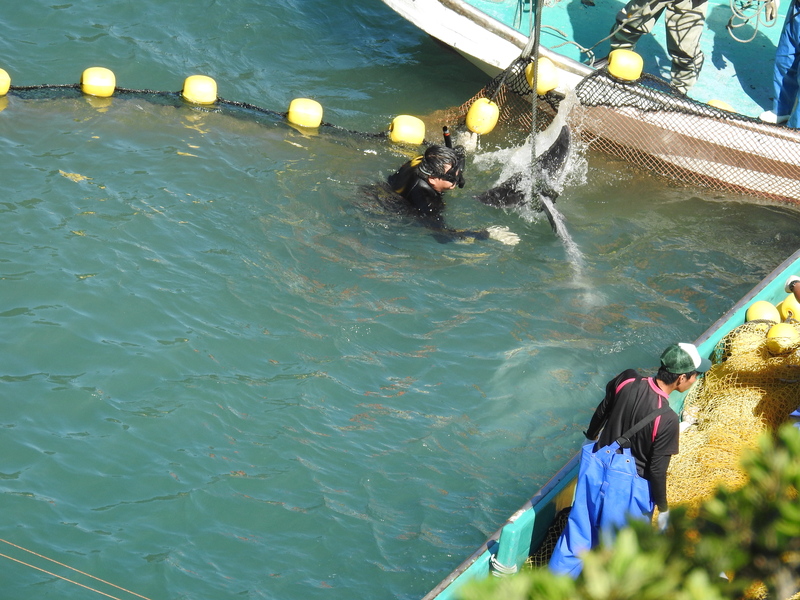 When the last of the dolphins were under the tarps, the sounds of slapping flukes and thrashing filled the cove as they were slaughtered. It is a haunting sound, one that will stay with me for the rest of my life. Although they can cover up the killing, they cannot silence it. Only death brings silence. When the thrashing stopped, I realized those Risso’s dolphins were gone forever, another pod exterminated by the dolphin hunters of Taiji.